What can you expect from the Big Lift? Last night marked Dartmouth’s chapter of The Big Lift neighbourhood meeting hosted by Halifax Harbour Bridges, rescheduled from last Tuesday’s snow shitstorm to, you know, another crappy Tuesday. The bridge’s closest neighbours gathered in the Dartmouth Sportsplex Nantucket Room to a pretty nice spread of squares and coffee and a panel of bridge representatives, each armed with a PowerPoint presentation. There weren’t as many people as I had thought there would be, but last Tuesday’s cancellation and this Tuesday’s treacherous weather may have had something to do with it. HHB’s CEO Steve Snider gave a bit of backstory about the bridge’s various upgrades and repairs over the years. The worst part about this bridge thing—and full disclosure, I live DIRECTLY under the bridge on the Dartmouth side, so I’ve been quaking in my boots for a year about this—is that we know it’s inevitable. Bridges can’t last forever, and obviously everyone would rather a safe bridge than an unstable one. But the big questions—noise and transportation—are still going to remain a mystery until the redecking actually begins. Still, I sat patiently waiting for a man to explain what a loud noise was, and how that might bother me. Jon Eppell, HHB’s chief engineer had a lot more to say about the actual repair. 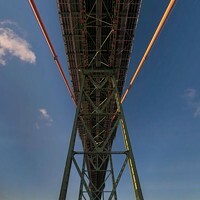 The Macdonald Bridge is nearly an exact replica of Vancouver’s Lion’s Gate Bridge. Lion’s Gate was redecked in 2001 using the same method. That bridge didn’t fall down, so that’s a good sign right? Although Eppell did point out that a bridge is most vulnerable during this redecking time—something to the tune of “if a bridge ever were to collapse, it would be during a procedure like this.” That said, they’ve extensively researched the repair for the last five years. Fun fact: Halifax bought the sidewalk and bike lanes from Halifax Harbour Bridges for $1 to use on a trail they plan on making. Hope those lanes don’t end up cluttering your craft room forever like all my intended projects, Halifax! The Big Lift website has a detailed timeline of the repairs, the overnight closures begin March 1, Sunday to Thursday, 7pm to 5:30am. The sidewalk and bike lanes are removed and the shuttle service begins June 29. The repairs aren’t going to be on the approach spans at all, all the work is to be done on the suspension part, right over the harbour. That will take 18 months and there will be 12 full weekend closures in that time. It’ll be noisy. A representative from RWDI Air, the company in charge of studying the sound impact of this project—and let me remind you, the work is to be completed overnight—started his presentation discussing how a human ear perceives sound, and defining what “loud” was. I sat beside my friend who leaned over and said “I find this level of detail terrifying. This can only mean bad news.” Indeed, they found that a sound muffling blanket did nothing to improve the situation. The general advice was to sleep with the window closed, with a fan on for background noise, and to sleep as far away from the closest window to the repairs. Noted. It was said that the average decibel amount of the repair was 55db, with a worst case scenario of 70db. Here’s a link with some comparisons. Maybe it won’t be so bad? A project manager from American Bridge Canada, the general contractor on the project, not only brought a selection of tools for us to look at irl, but also showed us slides of said tools. 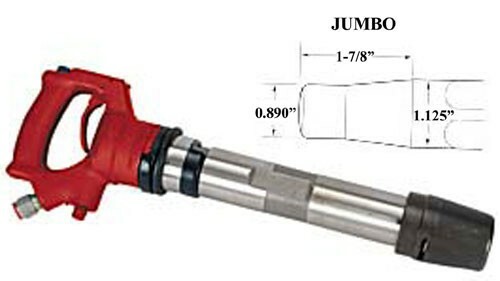 Did you know they will be using a tool called a “helldog”? Cool. Also they call a big hammer a “banger,” apparently. There will be what he called “a shanty town” / “man shacks” on a lot by the Dartmouth Holiday Inn which the men working on the bridge (he kept specifying "men") could take lunch breaks and hang their coats and whatnot. He promised there wouldn’t be “hooting and hollering” and they’ll only turn the noisy machines and tools on when they need them. Stay tuned for my Hooting and Hollering blog later this year! Communications manager Alison MacDonald had the unenviable task of managing the Q&A, explaining how citizens can keep updated on the closures and how the shuttle service will work: three 17 seater shuttles running all night long, with 12 bike racks per, picking up passengers at 30 Faulkner in Dartmouth and depositing them at the wastewater treatment plant on Barrington and Cornwallis—nice, hey? Halifax Transit will not let HHB use their bus stops because they’re worried it might mess with scheduling. See you at the wastewater treatment plant later! MacDonald pointed out that there will be a number for updates on bridge closures, and a rundown what will be done during each night’s work. 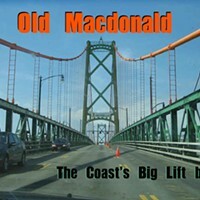 To get on The Big Lift mailing list, email thebiglift@hdbc.ns.ca. People’s questions seemed to be focused on the bike/pedestrian lanes’ somewhat dangerous access and egress, something that HHB has no control over, they say. It’s the city’s responsibility as the lanes empty onto Halifax property. There were many questions about transit, something that HHB also has no control over. In both cases, we were told that both Halifax Transit and the city have their own plans and public consultations should be in the works shortly. Although, a member of Halifax’s Active Transportation committee was in the room and hadn’t heard a peep about plans for improved bike lane access. The party line was that Mayor Savage is interested in making the lanes safer and more easily accessible. Halifax Transit has said that they will increase ferry service, instead of dropping to once every 30 minutes after 6pm, the ferries will run every 15 minutes until midnight, only to Alderney. No one from HHB seemed concerned about increased traffic on the Mackay—meaning, they didn’t think there would be any perceptible difference. I wish there had been a rep from the city to discuss the changes to the bike/pedestrian lanes and someone from Halifax Transit to discuss their own plan for increased service. I understand that these are completely different offices, but it would have been a nice reassurance knowing that everyone was planning on working together during this fiasco. We'll update with any public consultation dates from either Halifax Transit or the city as the information becomes available.